At the end of cooking this dish, you're all ready to sit on the couch and watch the Travel channel or Food Network, while enjoying this rich and creamy masterpiece you just created. 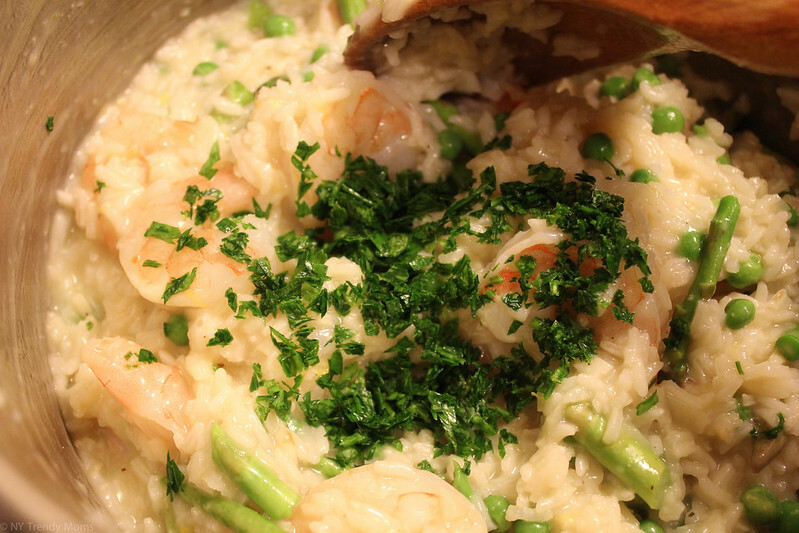 This risotto recipe can be made in many ways and with many different ingredients. What I love about it is that it's made in 35 minutes and the pressure cooker does the job so you don't have to constantly stand-and-stir. My favorite recipe goes as follows..
1. 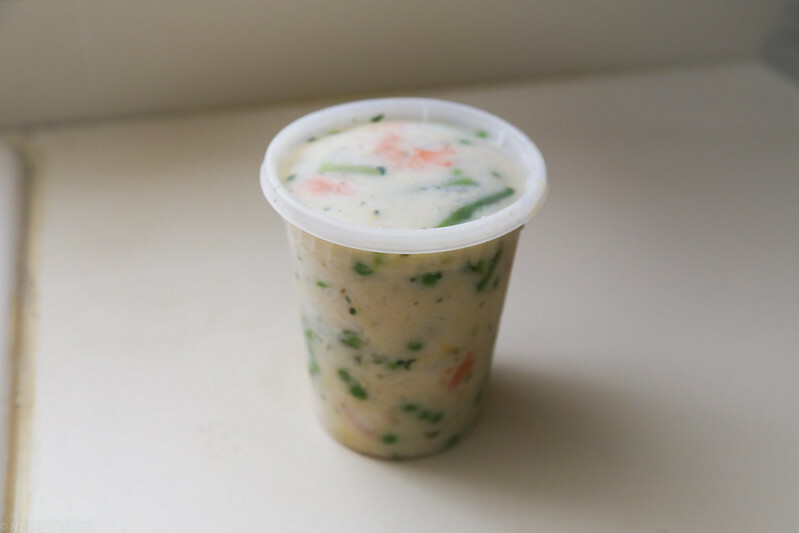 In a 6 quart pressure cooker, melt 2 tablespoons butter over medium heat. 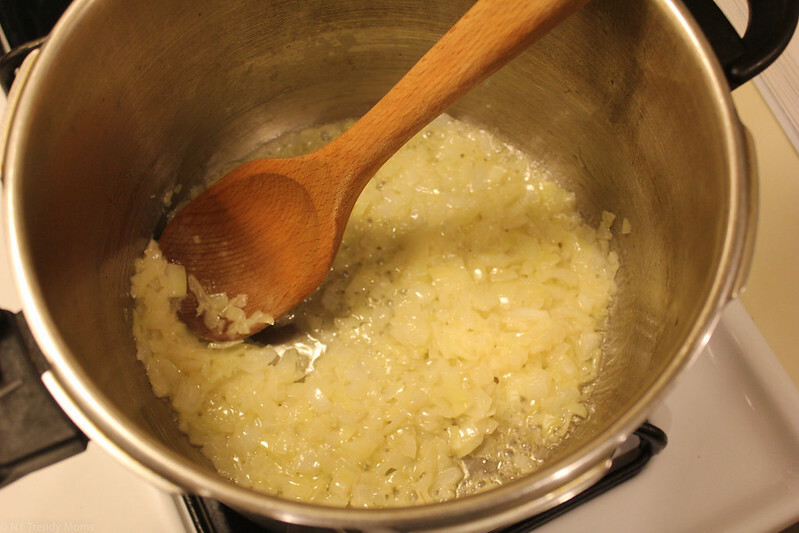 Add onion + garlic and sauté until soft, about 4 minutes. 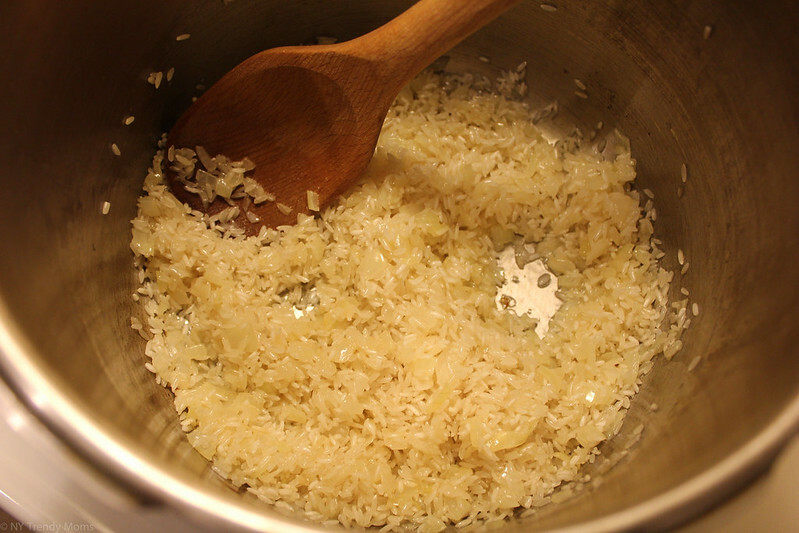 Add rice and cook, stirring, 1 minute. 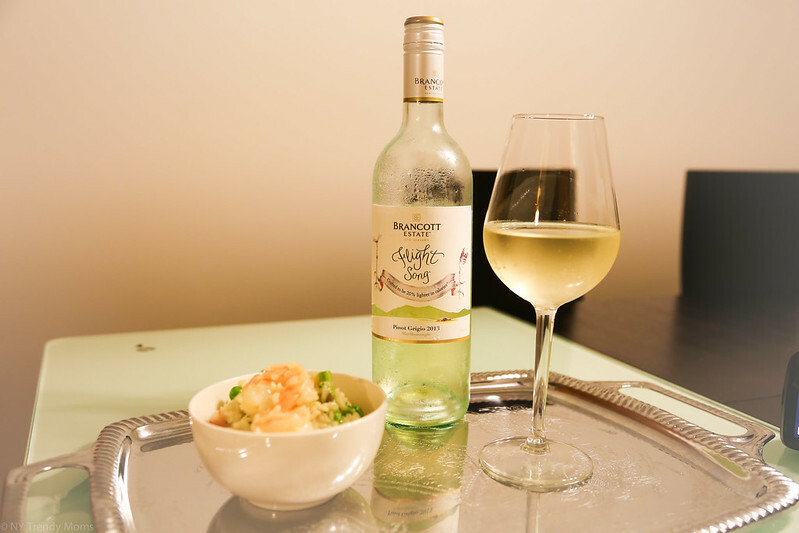 Add wine and cook until just evaporated, 30 seconds. Add 3 cups broth; season with salt and pepper. 2. Secure lid. 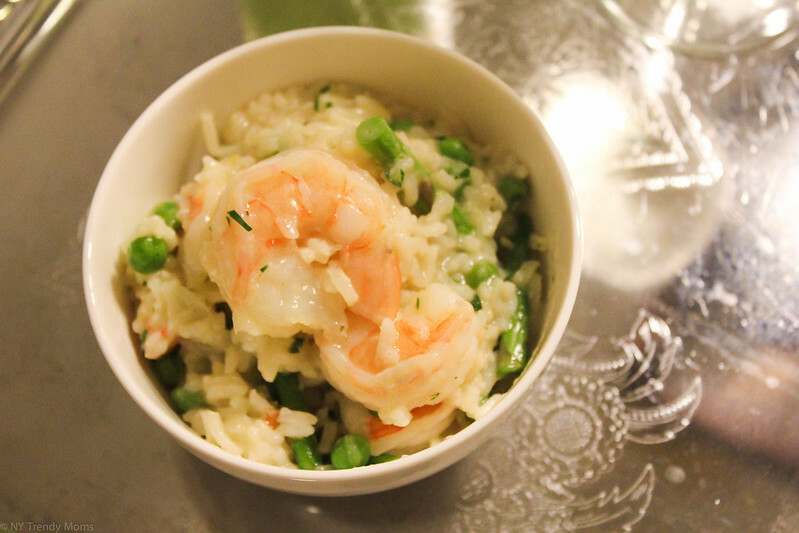 Bring to high pressure over medium-high heat; reduce heat to maintain pressure and cook until rice is tender, 9 minutes. 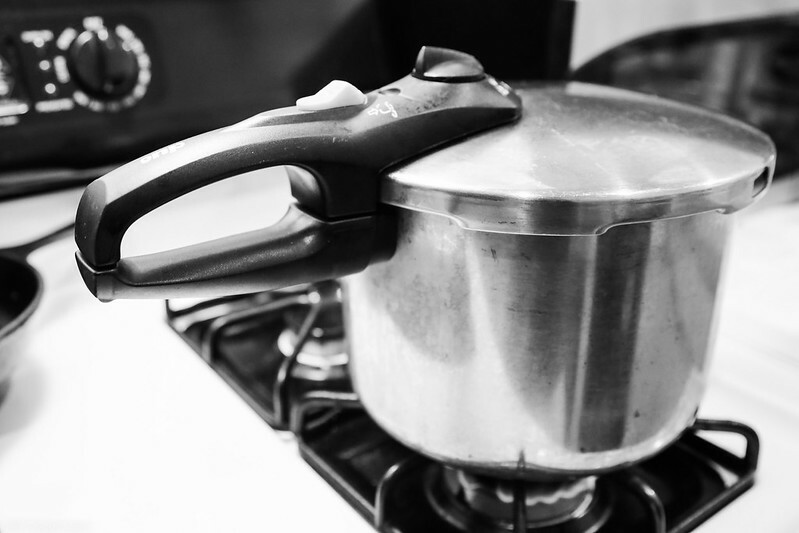 Remove from heat, vent pressure, then remove lid. 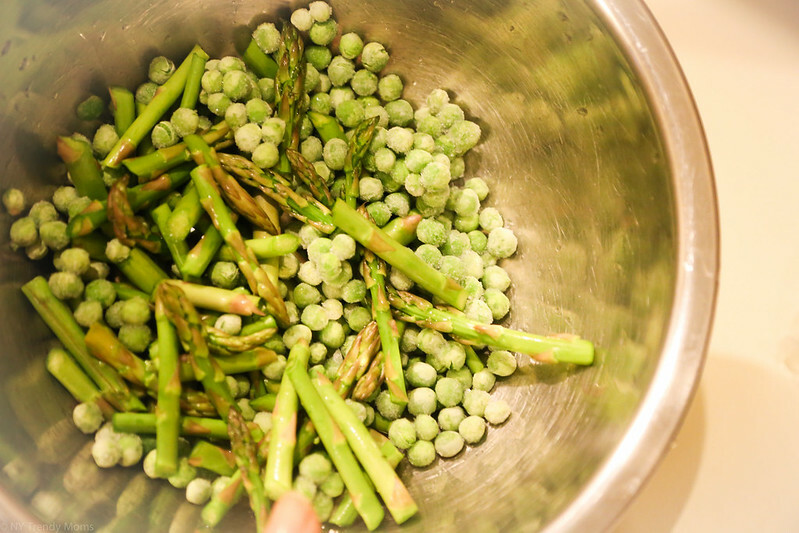 Stir in remaining 1 1/2 cups broth, the asparagus and shrimp, cook on medium until asparagus is tender and shrimp is opaque, 5-7 minutes. Stir in peas, Parmigiano-Reggiano, lemon zest, mixed herbs and remaining 2 tablespoons butter. Serve immediately, topped with additional cheese. I love keeping the leftover in an airtight container for the next day. YUM! My mouth is watering! I am planning on making these for a family get-together this weekend. Wish me luck!